Reading the article, there is only one other player who managed to have the same batting average for 3 consecutive years. **Mookie Wilson, with .276 from 1983 to 1985. 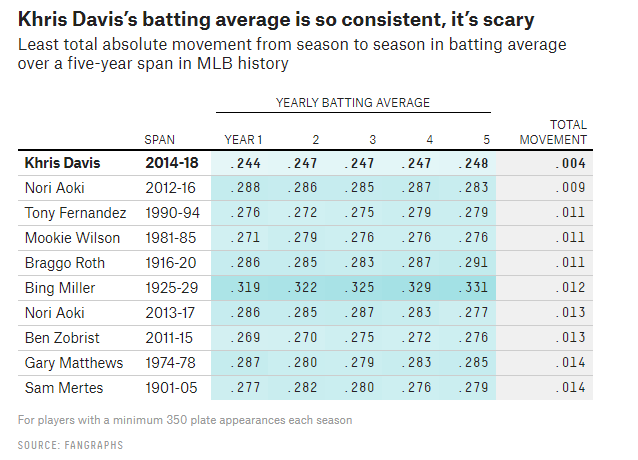 So I don't think there is another player with 4 or 3 years aside from the listed here (Khris Davis & Mookie Wilson) with the same batting average.